In only a couple of days in Asheville, you feel rejuvenated and inspired. 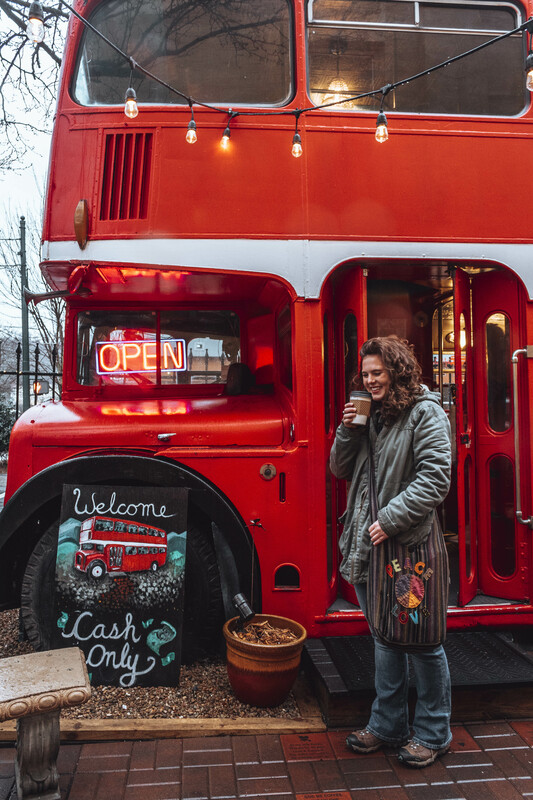 The relaxed hippy vibes and art galleries that scattered the city makes this a unique place of North Carolina. My trip is only three days long, a short weekend, which is never enough time for Asheville. Nevertheless, I made the best out of this whirlwind trip by hitting all the best parts. The heart of the city, Asheville has a mind of its own. Eclectic shops with clothing just my style make shopping a pleasure. Art inspo is found around every street corner. Dinner attire consists of hiking boots and flannels. The whole vibe of the city of Asheville is different from anywhere else I have been. Sipping happily on Double D’s Coffee! Miles before I arrive at the estate, I get a sense of sophistication from the Biltmore village, even the local Wendy’s styled in the same way. I finally round the corner leading to the estate and I am astounded by the sheer massiveness of the infrastructural beauty. 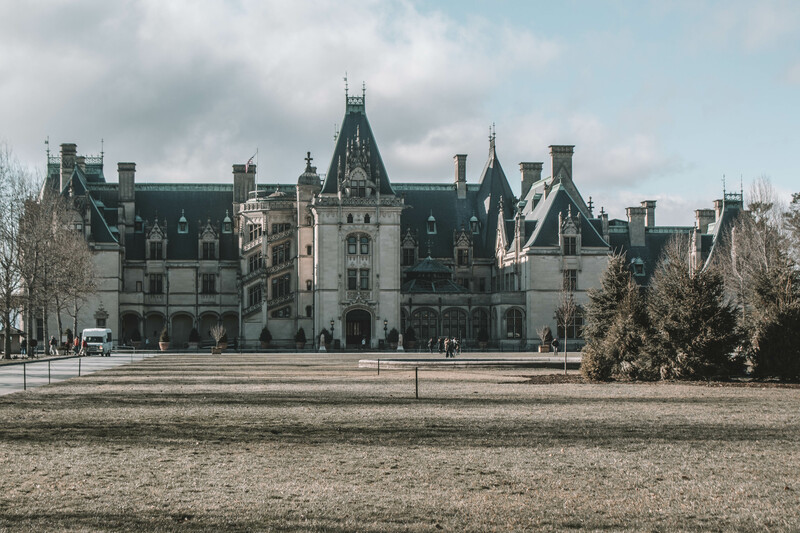 The Biltmore is a must see when in Asheville, North Carolina. 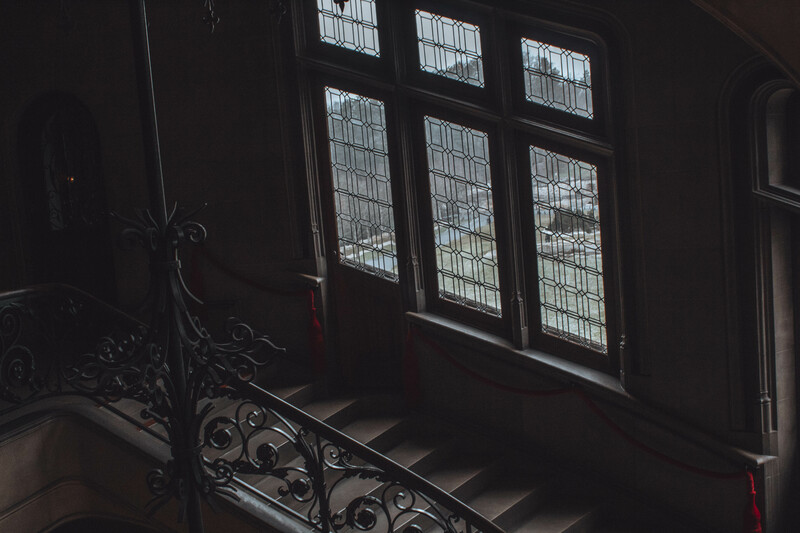 Mr. Vanderbilt puts much detail work into the creation of his estate. 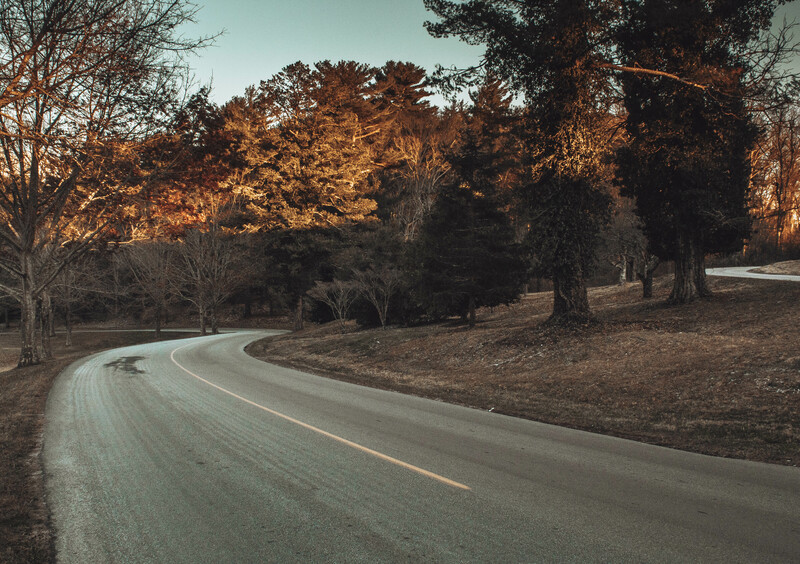 The curvy roads leading up to the house remind me that I am in the mountains. Little flakes of snow sprinkled over the grass, despite the last snowfall was hours ago. I wish it wasn’t so cold. For most of the day, I globbed on chapstick and stuck my hands deep in my pockets for warmth. If the weather wasn’t so chilling, I could have walked around the estate more. The gardens are closed, but the estate is fully functioning and operational. 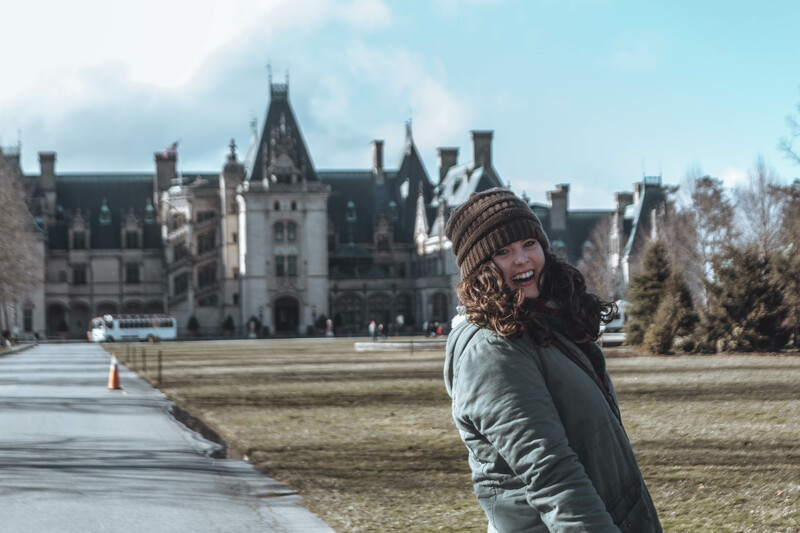 Regardless of the weather being incorporative, I enjoyed visiting the Biltmore for the sense of beauty and nostalgia it evokes in me. 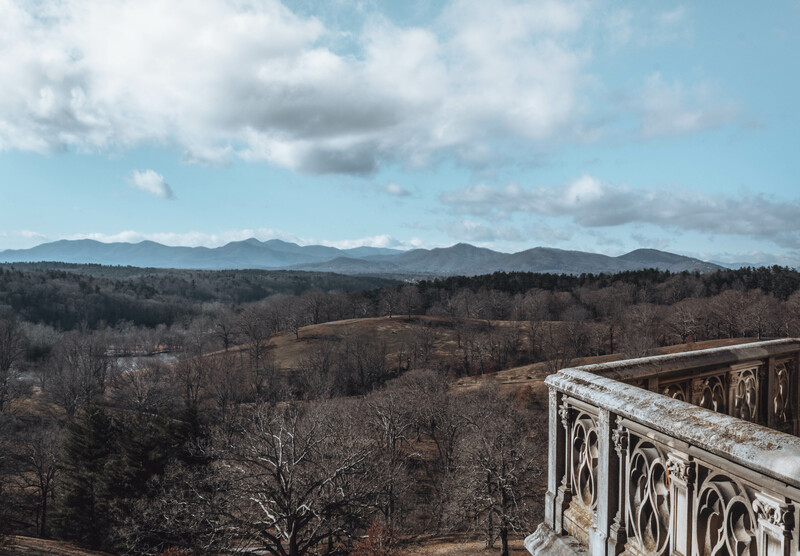 The breathtaking views of the Biltmore Estate. The first view I get of the interior is immediately impressive. 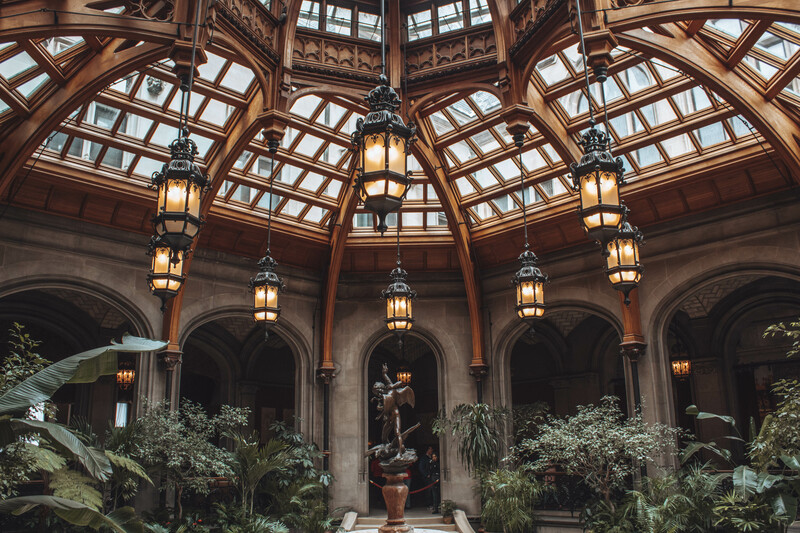 Natural lighting, high ceilings, and ornate antique lanterns make this entryway dreamy. Much thought is put into each room to make it just right. 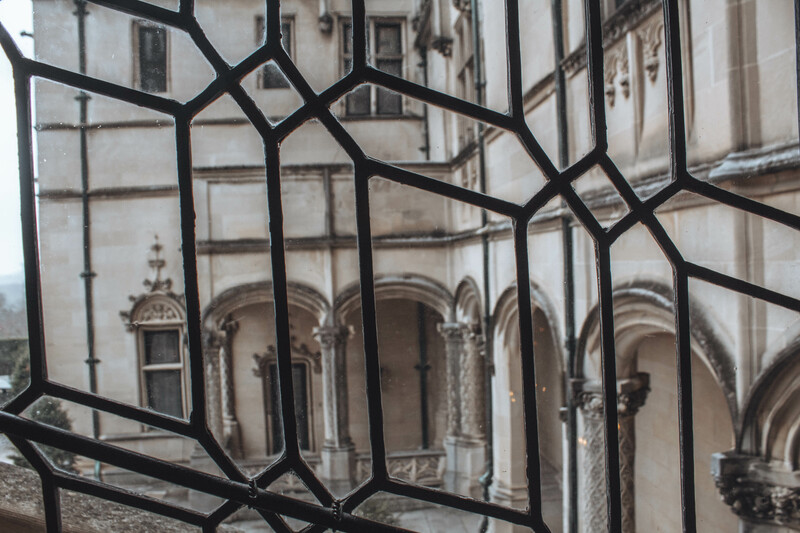 From the dining room, the breakfast room, the music room, or the tapestry room Vanderbilt has a specific intention for every inch of the space he built. In total, his masterpiece is worth around $300 million. I can’t say I will be putting in an offer anytime soon, but anyone would be lucky to live in. Asheville is the queen of hiking trails. Surrounding the city stands the mountainous regions with snow covered peaks. While the weather is far too cold to go hiking during these winter months, I treasured the peaks that came into view. For all my mountain lovers you know what I mean. Asheville is where my people are. The food is vegan and tasty. The mountains are a breath of fresh air. Now I am positive you can see why it is one of my favorite cities in the U.S.